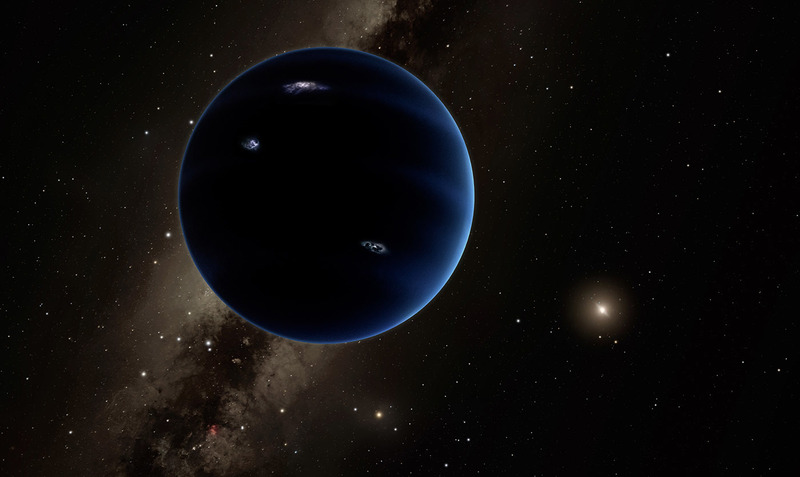 Since November 2018, the Rio Tinto Alcan Planetarium in Montreal has been showing “Planet 9”. This show describes the search for a ninth planet located on the outskirts of our Solar System by astrophysicist Mike Brown. The show will be playing at the Rio Tinto Alcan Planetarium until June 20 2019. An artistic representation of the hypothetical Planet 9. Credit: Caltech/R. Hurt (IPAC). An unknown planet in our Solar System? Since the reclassification of Pluto as a dwarf planet, we count eight planets in our Solar System. In 2014, a team of American scientists including Chadwick A. Trujillo and Scott S. Sheppard hypothesised the existence of a ninth planet in our Solar System with an orbit much larger than Neptune’s. The existence of such a planet could explain the highly elliptical orbits of the dwarf planets Sedna and 2012 VP113. This hypothesis caused quite a stir in the scientific community. In 2016, astrophysicists Konstantin Batygin and Mike Brown estimated that the perihelions and orbital planes of Kuiper Belt objects were all very similar. This may be due to the presence of a planet of over 10 Earth masses at a distance of about 600 astronomical units from the Sun. Many scientific teams have searched for this planet since, including a team lead by iREx professor Nicolas Cowan. This hypothetical Planet Nine has yet to be detected. If it does exist, it would not be the first time a Solar System planet was theorised prior to being detected. The existence of Neptune was proposed to explain the dynamics of other Solar System objects 25 years before it was first observed. 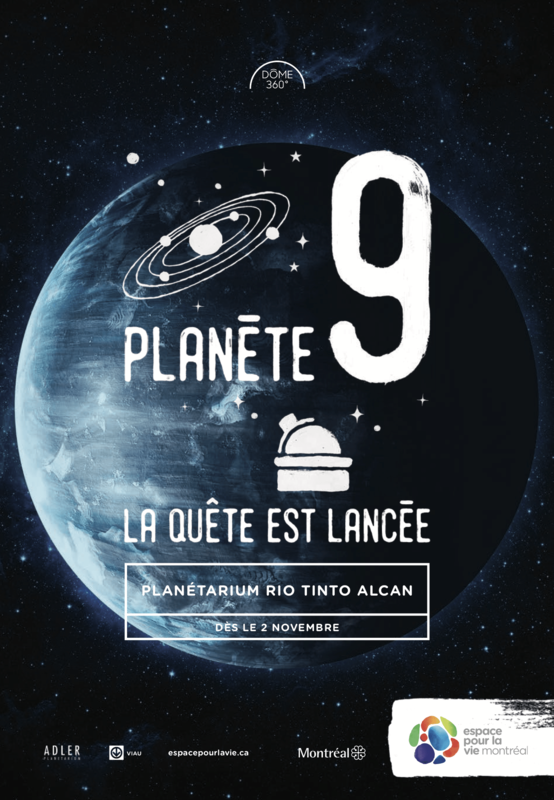 Affiche du spectacle du Planétarium Rio Tinto Alcan. In theaters since November, the Rio Tinto Alcan Planetarium’s show describes the journey of the New Horizons probe which reached Pluto in 2015 and has allowed us to learn more about the dwarf planets populating the Kuiper Belt. The rest of the movie recounts Mike Brown’s search for a ninth planet in our Solar System. Mike Brown is well-known for having contributed to Pluto’s reclassification as a dwarf planet when the dwarf planet Sedna was discovered. Members of iREx, Étienne Artigau, Frédérique Baron, René Doyon, Jonathan Gagné and Nathalie Ouellette, were invited to collaborate with the show’s production team at the Planetarium during the development of the show’s script. They were tasked with ensuring that Planet 9 was not presented as a confirmed planet in our Solar System, but rather one of several hypotheses that might explain the distribution of objects in the Kuiper Belt.